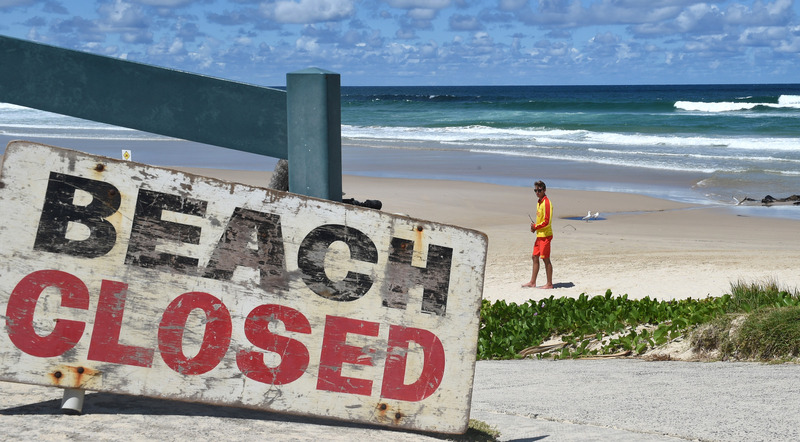 New South Wales is the latest Australian state to hear calls for sharks to be culled, in response to a spate of fatal and non-fatal incidents. NSW Premier Mike Baird has implemented a new surveillance program, while resisting calls for a cull on the basis that it doesn’t work. Put simply, there is no scientific support for the concept that culling sharks in a particular area will lead to a decrease in shark attacks and increase ocean safety. Western Australia tried culling sharks with baited drum lines last year. The tactic did not improve the safety of swimmers, surfers or divers – one of the reasons why scientists actively opposed the cull. A similar long-standing policy in Queensland has shown little evidence of effectiveness. Sharks have inhabited this planet for more than 400 million years, and have survived five mass extinctions. Earth is now entering its sixth – this time caused by humans – and sharks are at the pointy end, with 90% of the species already considered threatened. It is not just an issue on NSW’s surf breaks. Humanity’s growing demand for protein has put substantial pressure on oceanic systems, and industrial fishing techniques have have reduced predatory fish populations to less than 10% of their historic numbers. Sharks are especially vulnerable because of their low reproductive rates, slow growth and delayed rates of maturity. The Indo-Australasian region is recognised as a hot-spot for global shark biodiversity, and in in this region Australia trumps all, with more than 36% of all known shark species living in Australian waters. What’s more, sharks play a pivotal role within the ecosystems they inhabit. As apex predators, they maintain community structure and biodiversity by regulating predator and prey abundance. Even light fishing pressure such as species-target line fisheries can cause dramatic declines in populations of large coastal sharks. Meanwhile, indirect fishing via shark meshing programs can catch a range of targeted and non-targeted species of sharks. What would a cull do to sharks and ecosystems? Shark culling is best thought of as an indiscriminate method of removing sharks from our coastal ecosystems. The WA and Queensland culls have led to the capture and death of many non-targeted sharks. We also know that many shark species do not cope with capture well – a recent Australian study found that 100% of hammerheads caught by line fishing will die of stress within an hour of capture. 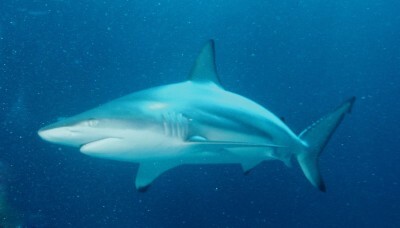 Similarly, spinner and dusky sharks have very low survival rates within the first few hours of being hooked, and sharks that are hooked and subsequently released do not necessarily survive. Hooking in the gut is very common. New South Wales’ flagship threatened aquatic species, the greynurse shark, will most probably die over time if hooked in the gut and then released. Stainless steel hooks do not rust out but become encapsulated in the tissue over time, causing starvation, wasting of the body (known as cachexia), and eventual death. If we remove sharks as top predators from the ecosystem, the effects will filter down to animals lower down the food chain and cause unexpected changes to ecosystems. We are already seeing such changes in areas where sharks are overfished. Declines in the number of blacktip sharks in North Carolina in the late 1970s and 1980s caused an increase in the relative abundance of cownose rays and a corresponding decrease in scallops over the ensuing decades. Healthy aquatic ecosystems are typified by a complexity of players in the food chain, and removing such macropredators will result in decreasing ecosystem resilience. What can we do instead of culling? Indiscriminately culling sharks is dangerous to marine ecosystems, not to mention expensive and futile. We would be far better off allocating resources to achieving a greater understanding of the ecology and behaviour of these large predators. We can increase knowledge of why and where sharks are likely to attack humans by tagging sharks and following their movements over time, or through genetic studies that can assess effective population sizes. Current aerial surveys are unlikely to be a successful strategy, however. Scientific analysis has already discredited aerial programs in NSW. Aerial surveys have only a 12.5% success rate in spotting a coastal shark from a fixed-wing aircraft, and a 17.1% success rate in helicopters. As surveys are only done for a few hours per week, and pass over a particular beach in minutes, these patrols can give the public a false sense of security. Other non-invasive methods of mitigation are currently being developed, including the use of erratic walls of bubbles to deter sharks, and the development of wetsuits and surfboards that sharks are less likely to mistake as prey. But ultimately, we also need to take personal responsibility, and reduce the likelihood of an attack by not swimming at dawn and dusk, not entering the water at the mouth of estuaries with poor visibility, or in areas of baitfish. After all, even sharks can make mistakes.